Most of the apartments have two bathrooms in addition to the standard fridge, washing machine, air conditioning, hairdryer, kitchenette, safe, satellite TV. From many rooms you can enjoy a beautiful sea view. Pets allowed. All guests can use the exclusive swimming pool of the Residence for free and sunbathe in the dedicated space. The Settebello offers its customers a private parking, available by reservation. 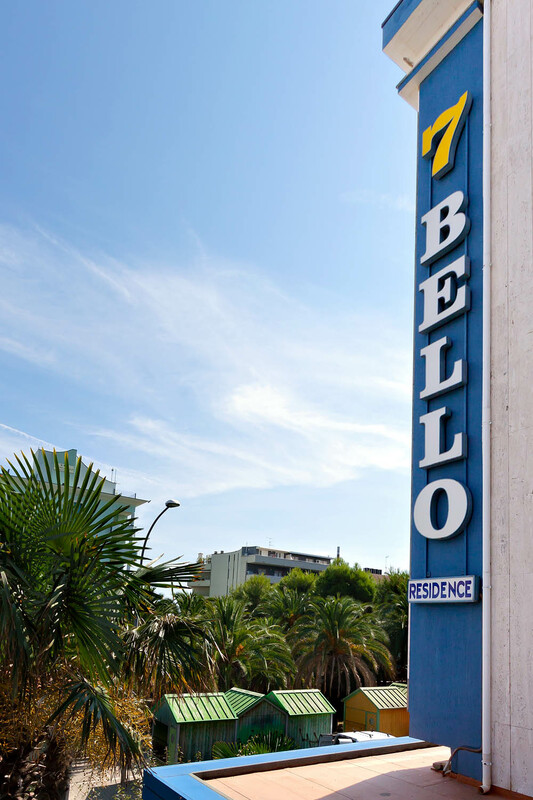 Residence Settebello is located in San Benedetto del Tronto, on the Riviera delle Palme, right in the tourist area. The Residence, with swimming pool, offers its guests a relaxing stay close to the wonderful Adriatic Sea. Our two-room apartments are also available in two bathrooms for maximum comfort. Even some three-room apartments have a double bathroom. Many apartments also have sea views and comfortable balconies.